When I was a kid, we never heard of the word ‘hospice’; or if we did it was about some lodging facility somewhere in Europe. Maybe I’m thinking of ‘hostel’. Just now, when I looked it up in the dictionary, I was surprised to find that hospice IS (definition #1) “a lodging for travelers, young persons, or the underprivileged especially when maintained by a religious order.” Definition #2 is the ‘new’ definition, “a facility or program designed to provide a caring environment for meeting the physical and emotional needs of the terminally ill.” If it weren’t such a serious topic, we could say that now, ‘hospice’ is ‘all the rage’. Now, if you’re really sick; you’re not getting any better; there’s nothing else the doctors can do for you; and you’re fixin’ to die; they put you in hospice. It may be a special facility or it may be at home, but the regimen of care is to keep you comfortable, as little pain as possible, with some emotional, psychological, maybe even spiritual support, to help you prepare for the inevitable. ‘Course who knows (besides God) if you’re really fixin’ to die. People rise from the ‘almost dead’ every day, for no apparent reason, just because God is not yet ready for them to go. Sometimes people are ready to go; they’re tired of fighting it; they’ve lived long enough; and they’ve made peace with their Maker; but they STILL live for several more years. Sometimes after they’ve turned off all the machines, the people just won’t die, and they end up getting up and walking away from the place of death. I like what Winston Churchill said as a graduation speech at Eton “Public” School. The whole speech was “Never give up; never give up; never, never, never give up.” And he sat down. But many people who are assigned to hospice are truly fixin’ to die. They need time, and their family and friends need time, to prepare, to arrange their affairs, and to say goodbye. Praise the Lord that there are people who God has called to help them do that. It’s not easy, even on the best of days. It’s good for people to have the chance to think about it before they go. But I wonder if they need a whole ‘nother branch of medicine to do it. 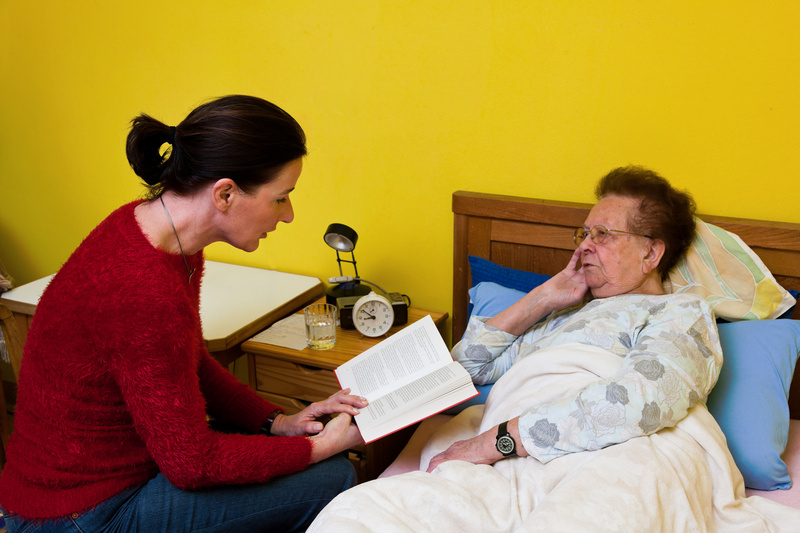 I almost think that hospice is like many other functions we have turned over to the government or to private companies to do for us what we should be doing for ourselves and for our loved ones. Yes I know, sometimes it’s physically impossible for the family to care for them. But I’ll tell you this. We all need a time when we finally quit fighting it, and we turn it over to God. When we do that, and we leave it up to God, without continuing to lean on our own puny efforts, He has the opportunity to do what He wills. Then miracles begin to happen, whether we live or we die. This entry was posted in Caring Environment, MIRACLES HAPPEN, NEVER GIVE UP, People need time to prepare, Support the dying, Turn it over to God and tagged CARING ENVIRONMENT, MIRACLES HAPPEN, NEVER GIVE UP, PEOPLE NEED TIME, SUPPORT THE DYING, TURN IT OVER TO GOD on December 17, 2015 by Tex Tonroy.